Thom Ritter George discovered his great interest in music, particularly composition and orchestral conducting, as a boy growing up in Detroit, Michigan. He wrote his first composition when he was ten years old and conducted his first orchestral concert at the age of 17. During his high school years, he was a composition student of Harold Laudenslager, a pupil of Paul Hindemith. Dr. George entered the Eastman School of Music in 1960 and studied composition with Thomas Canning, Louis Mennini, Wayne Barlow, John LaMontaine, and Bernard Rogers. After earning Bachelor's (1964) and Master's (1968) degrees from the Eastman School, Dr. George accepted an appointment as Composer/Arranger for the United State Navy Band in Washington, D.C. During his military service, he also conducted the United States Navy Band in performances both in Washington and on tour. He was a frequent performer at The White House during the administration of President Lyndon B. Johnson. 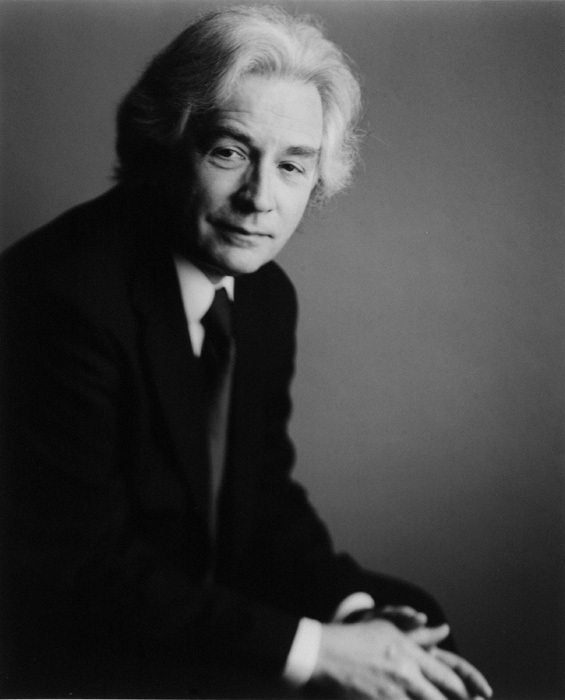 After completing his Doctor of Musical Arts degree at the Catholic University of America in 1970, Thom Ritter George was appointed Music Director and Conductor of the Quincy Symphony Orchestra (Quincy, Illinois). While serving in Quincy, Dr. George did advanced conducting studies with Boris Goldovsky (opera conducting) and Sir Georg Solti, Conductor Laureate of the Chicago Symphony Orchestra. Thom Ritter George came to Idaho in 1983 as Conductor of the Idaho State Civic Symphony. Dr. George led the Idaho State Civic Symphony in more than 200 programs featuring a wide repertoire and many internationally recognized artists. As a composer, Dr. George won the Edward B. Benjamin Prize, two Howard Hanson Awards, the Seventh Sigvald Thompson Award, and received annual awards from the American Society of Composers, Authors, and Publishers since 1965 for his contributions to American music. He composed more than 350 works, many of which are recorded. Since 2007, Thom Ritter George has been engaged solely in orchestral guest conducting and composition.